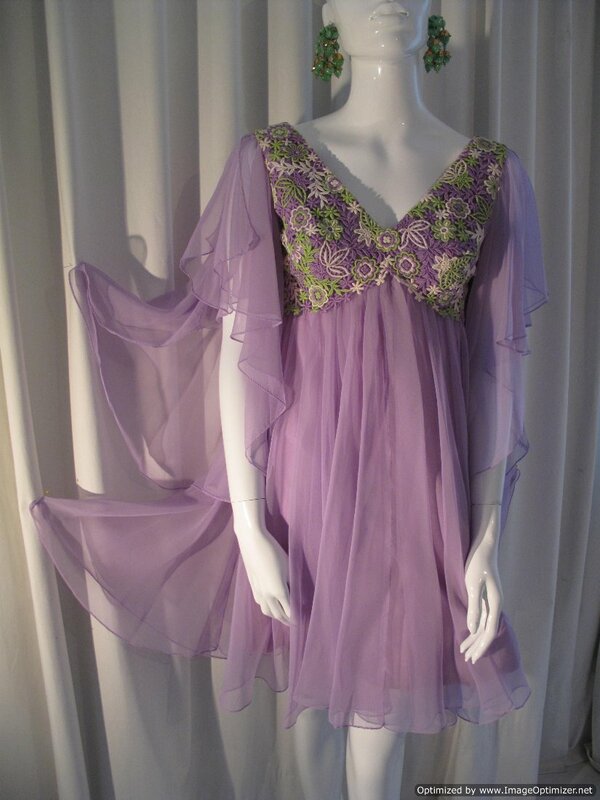 1970's Lilac chiffon baby doll vintage mini dress. 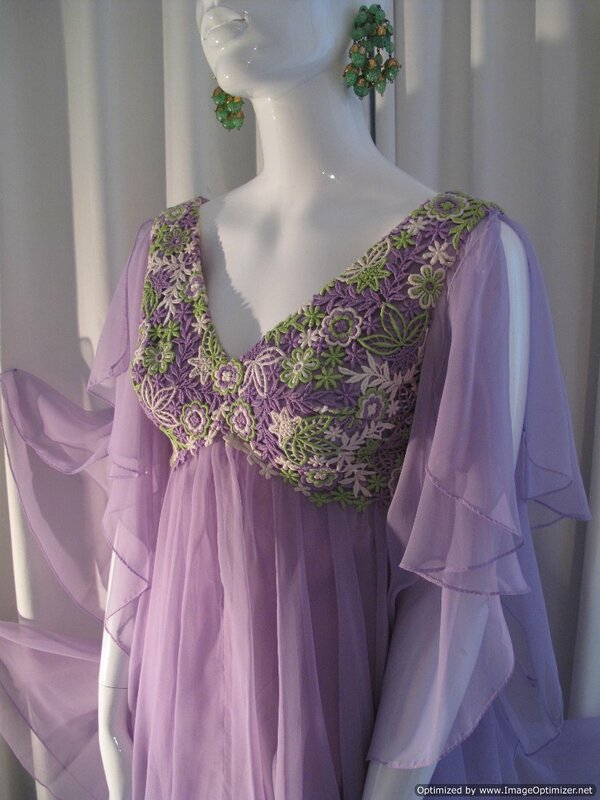 The dress has circular cut sleeves that fall in waterfalls over the arms. The flared skirt is circular cut and falls from the Empire line bodice . 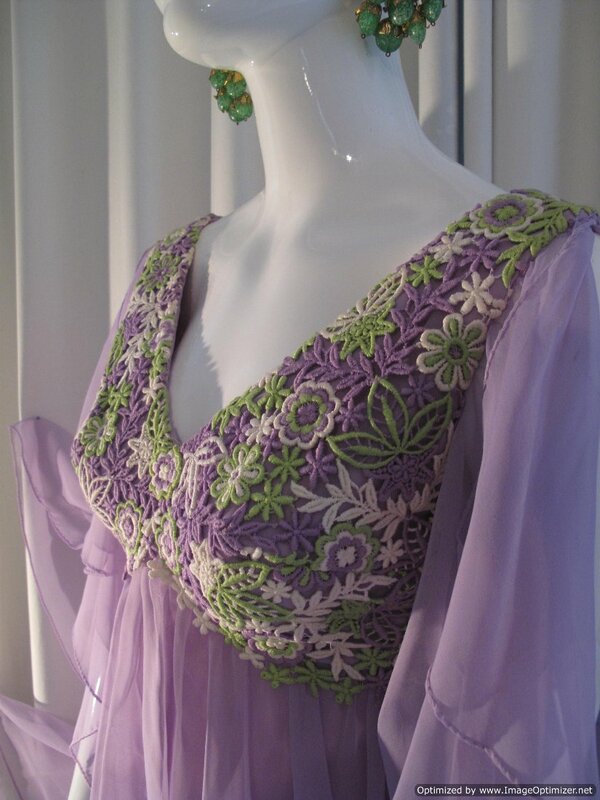 The dress is lined in lilac acetate. 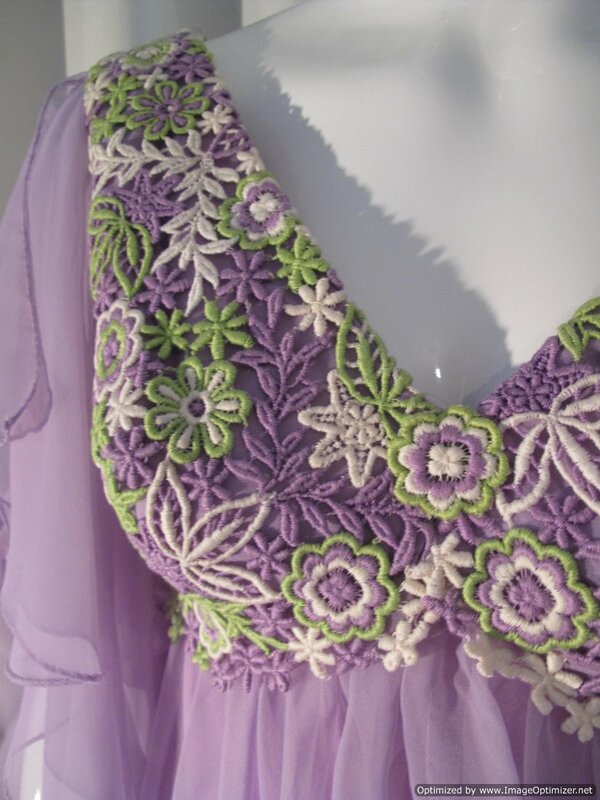 The bodice is fitted with a deep V front and back and made of heavy floral cotton lace in liliac, apple green and white. 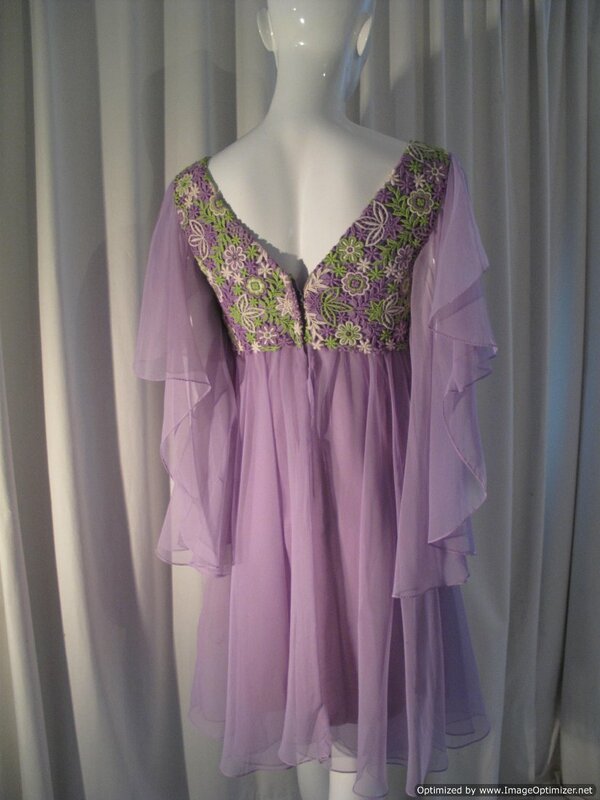 Great 70's piece, one can't help thinking of Pans People on Top of the Pops!